My husband was reading the e-copy of this book. 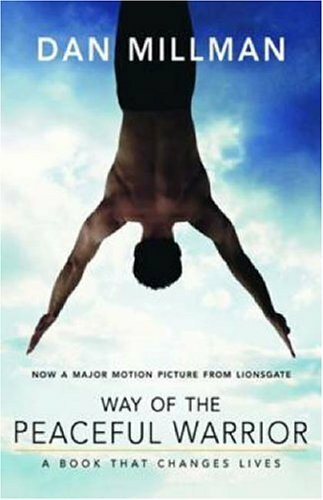 Way of the Peaceful Warrior by Dan Millman. The title caught my attention. I am so glad I picked it up and read it. One of the best non-fiction books I have read. Changed my perspectives on life. A great book on the philosophies of life narrated in a very easy to understand way. Body wisdom: everything you’ll ever need to know is within you; the secrets of the universe are imprinted on the cells of your body. But you haven’t learned inner vision; you don’t know how to read your body. Your only recourse has been to read books and listen to experts and hope they are right. When you learn body wisdom, you’ll be a Teacher among teachers. The world was people with minds, whirling faster than any wind, in search of distraction and escape from the predicament of change, the dilemma of life and death – seeking purpose, security, enjoyment; trying to make sense of the mystery. Everyone everywhere lived a confused, bitter search. Reality never matched their dreams; happiness was just around the corner – a corner they never turned. And the source of it all was the human mind. This entry was posted in BOOKS AND READINGS. Bookmark the permalink.